The United Arab Emirates is a country in a state of constant geopolitical change. Once an obscure Gulf nation, the UAE has in just 40 years emerged from the desert sands. Substantial economic growth resulting from oil-driven venture has transformed the formerly semi-nomadic bedouin society into a thriving localized culture, anchored in international business, tourism and luxury. This rapid urban development has attracted workers, business people, consumers and tourists from all around the world. Expatriates now make up 85 percent of the urban population in Abu Dhabi and in Dubai. And as a result, the cultural identity of the Emirates is evolving through a constant influx of foreign influences. 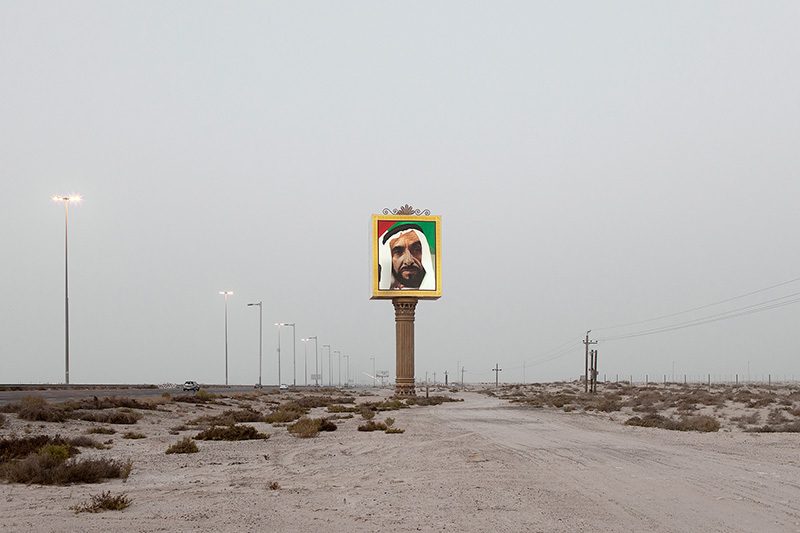 My series “Desert Dreams” annotates a modern portrait of the Emirates where foreign and local cultures come together to form a surreal environment at the intersection of tradition and modernity.